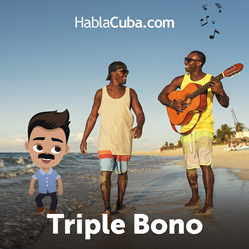 Triple bonuses for international top ups to Cuba placed on HablaCuba.com. Great opportunities shouldn’t be missed and the next Cubacel promo is just that kind of opportunity that doesn’t knock twice. Spreading bonuses and joy all around until: February 2. The promotional balance can be used only for local and International calls and SMS (Including SMS entumóvil). However, the bonus does not apply to email service, MMS or mobile data service (data from mobile phones), the main balance will be deducted. So the promo helps Cubans enjoy both calls and internet, since the main balance can be used for activating 3G plans, whereas the bonus can be used for calls and texts.